If you are looking for a fitness planner to keep track of what you eat, how much you drink or plan your workout schedule then you will probably find one of the following printable planners helpful. 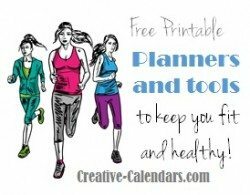 If you are looking for a fitness calendar that you don’t find on this site then please leave a comment below and we will try and create it for you. 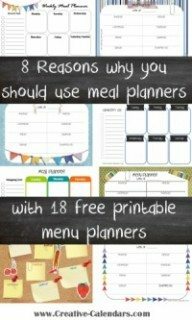 A selection of free printable meal planners to keep track of your meals. Many of the meal planners have a shopping list to ensure that you have the necessary ingredients on hand before you start preparing the meals. This is a 14 day diet journal to keep track of what you eat each day. The journal also tracks exercise and each page has motivational quotes to ensure that you stay on track and keep exercising! We all know how important it is to drink water but most of us don’t drink enough. 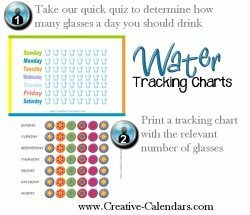 This water tracking chart will ensure that you drink enough water each day. This running journal will help you keep track of your running performance: how much you run, your speed, pace, calories burned and many other parameters. You decide how much info you want to keep track of. There are various versions available which can be tailored to your needs. 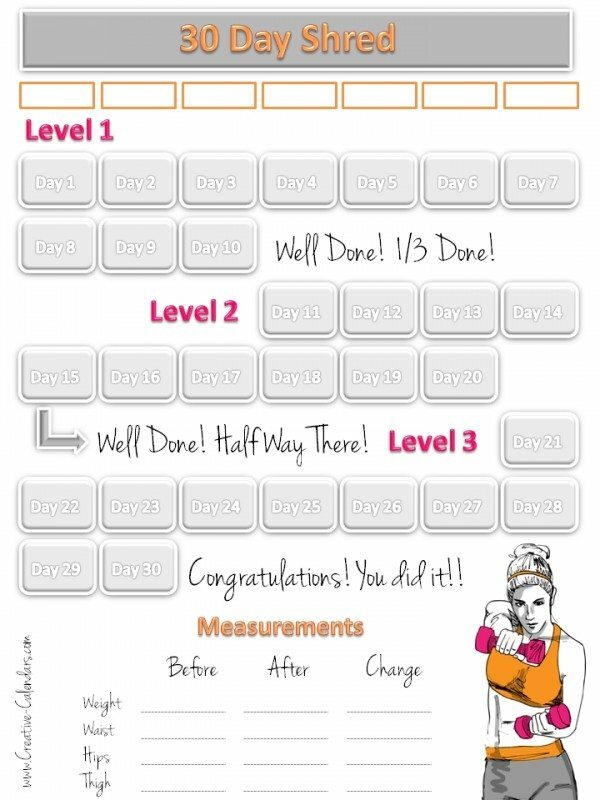 This printable countdown calendar will help motivate you to complete Jillian Michael’s 30 Day Shred! 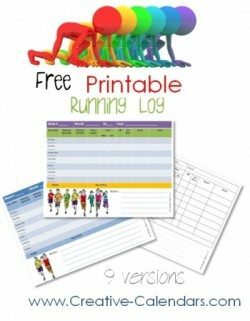 This training calendar is based on the C25K program which is designed to bring couch potatoes to a fitness level where they can run for 30 mins non stop.